Early purchase bonus for My Nintendo users: Piranha Plant! If you purchase Super Smash Bros. Ultimate and claim your My Nintendo Gold Points by January 31st 2019, you can receive the fighter Piranha Plant as free downloadable content! The early purchase bonus DLC is scheduled to be released around February 2019. Earn 425 Gold Points in My Nintendo! Get Super Smash Bros. Ultimate together with the Fighters Pass with this eShop Code Bundle. The Fighters Pass for Super Smash Bros. 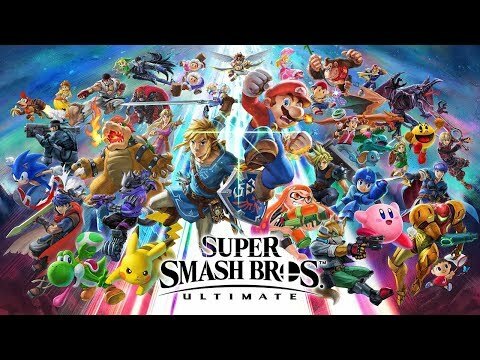 Ultimate will give you access to all sets, as they are released: five fighters, five stages and all their music tracks. Plus, if you purchase the Fighters Pass you will receive a Mii Swordfighter outfit based on Rex from Xenoblade Chronicles 2 as a bonus.